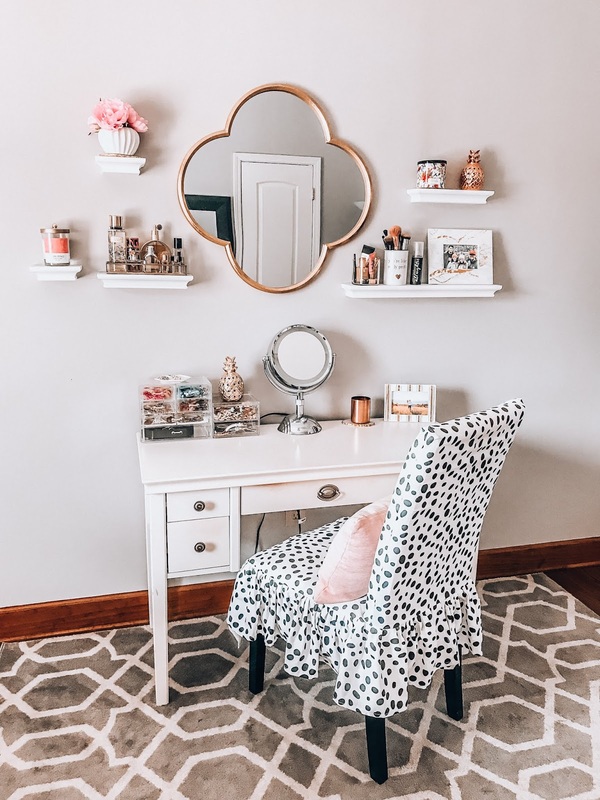 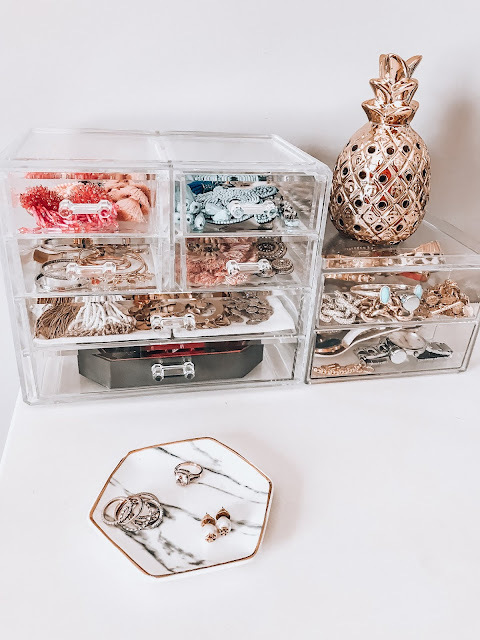 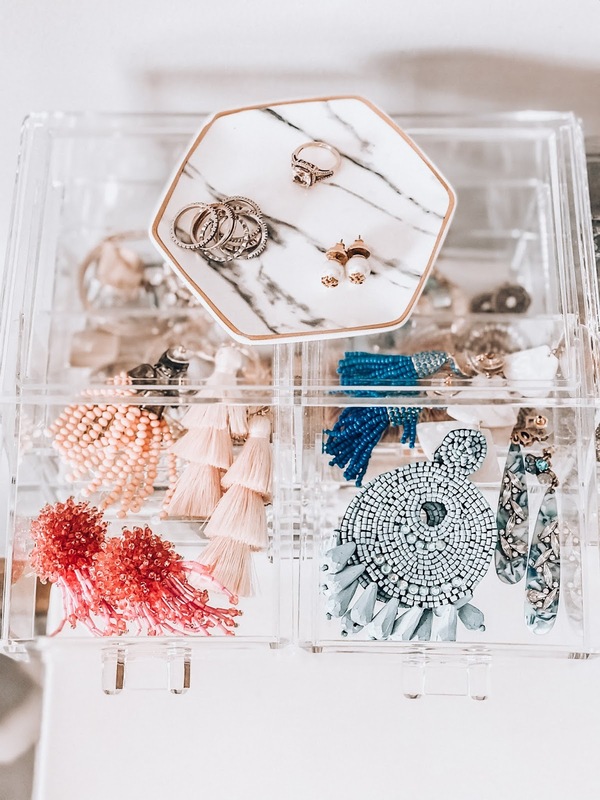 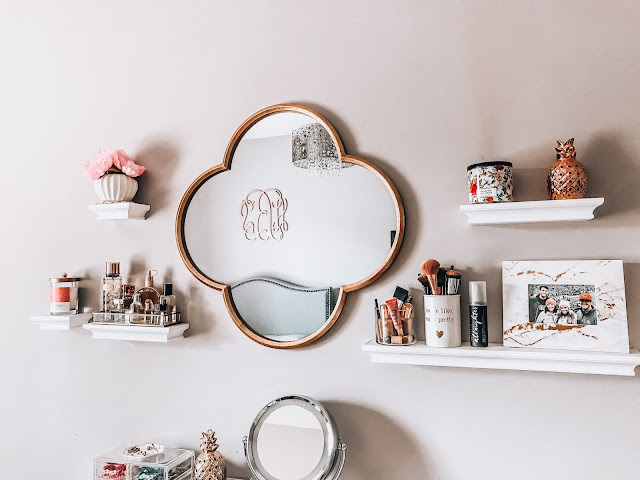 I've recently updated my makeup vanity & organized my jewelry better and wanted to share! 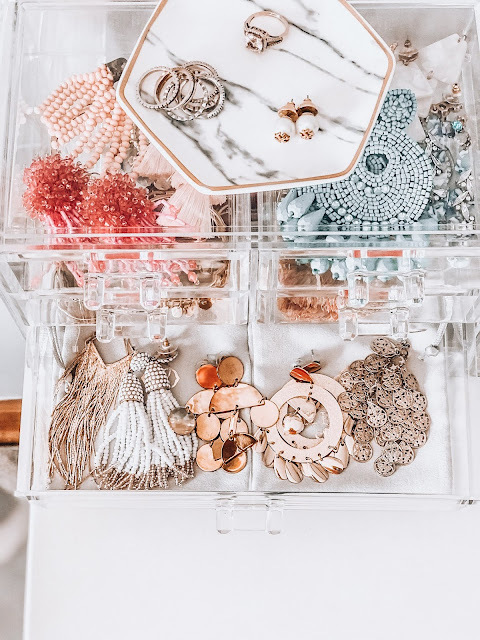 I love these clear boxes and all the compartments so I can don't have to open all the drawers to remember what I've got. 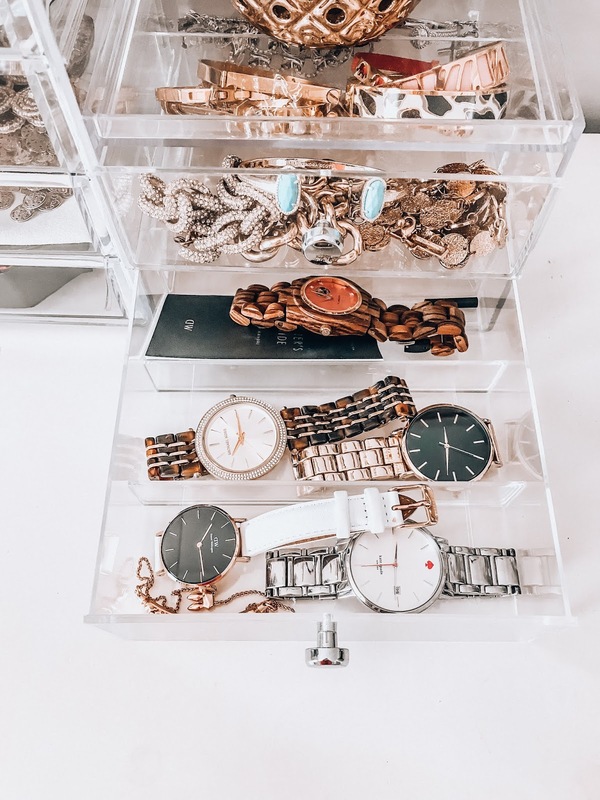 All details in the shoppable widgets and links below! 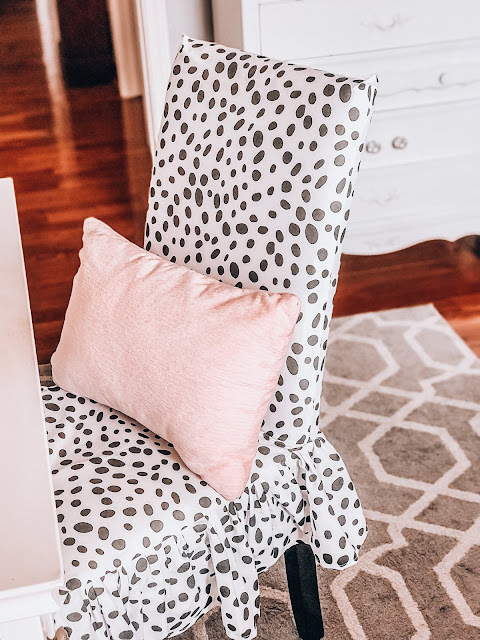 Chair slip cover is from Emily Redman of Redman Roost ETSY. I sent her my fabric and she made the the chair cover. 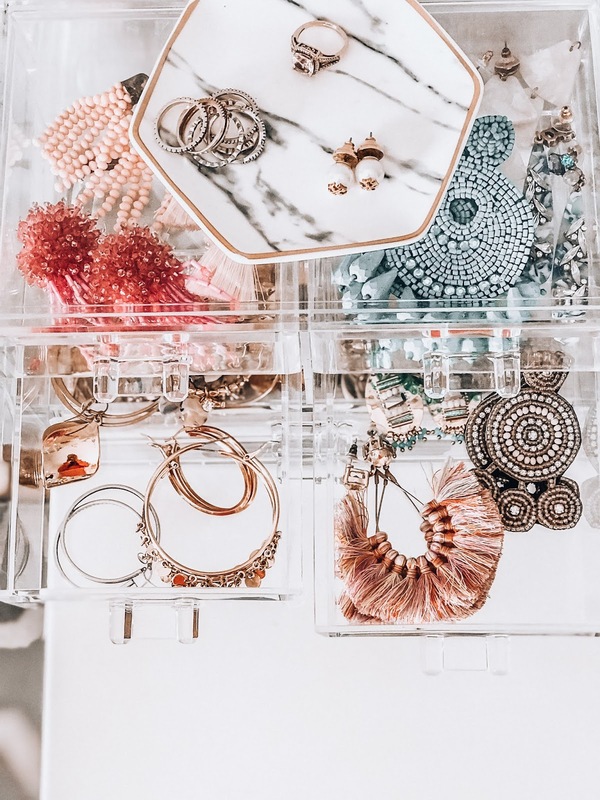 Any jewelry or decor that isn't linked is probably from Studio 6 Apparel, QVC, TJMaxx, or Marshalls. 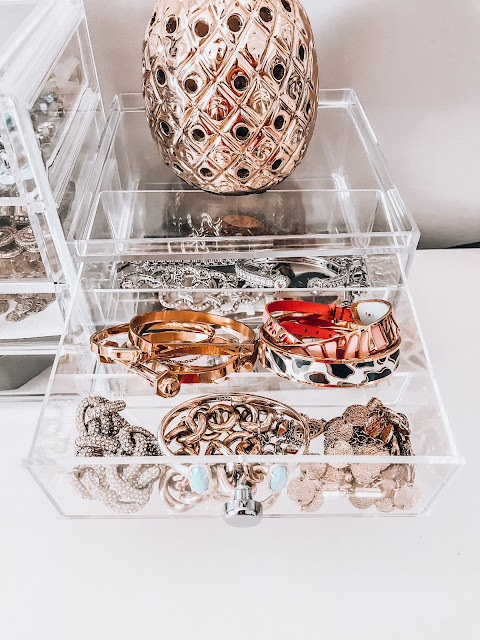 Stack rings on my jewelry dish are from Everly. 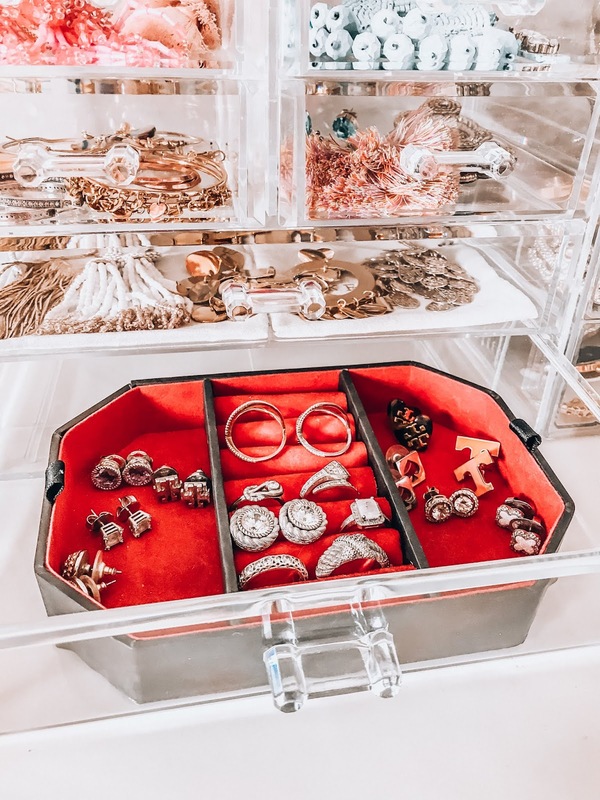 The earring/ring organizer is from an old jewelry box. My favorite engraved cuff is from Shop I Love Jewelry and linked here. Use code "alexispaigeb" for 15% off your I Love Jewelry purchase!